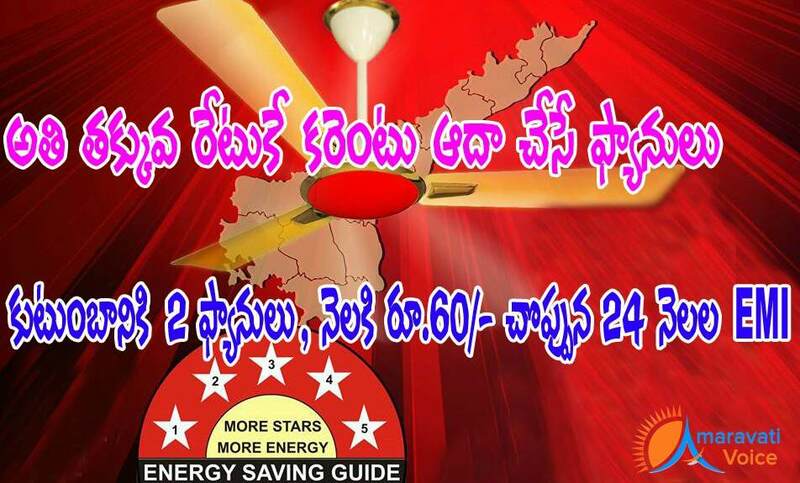 Andhra Pradesh Government is going to distribute five-star rated fans to save energy. Chief Minister Chandrababu Naidu today launched this as a pilot project in Narsapur of West Godavari district. Later this is going to be implemented all over the state.